Wrecked: Revenge Revisited was initially slated for a Summer release, but 505 Games has up-shifted to a Spring release for their follow up to Super Sonic Games’ 2004 car combat hit, Mashed. 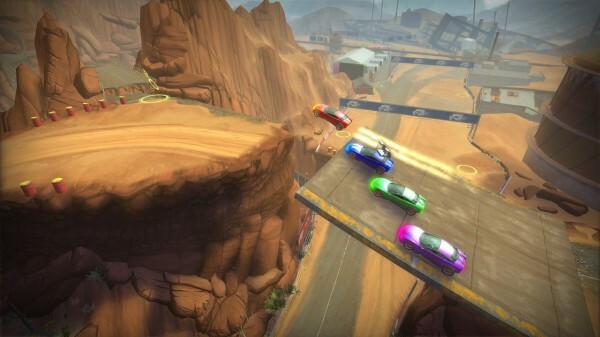 Wrecked will join the likes of TNT Racers and Scrap Metal in the ever-growing list of XBLA car combat games, bringing with it some features unique to the series. Players will enjoy plenty of customization options for their vehicles as well as an awesome revenge mechanic allowing wrecked racers to thank their destroyer with an aerial strike- of love. The carnage will take place across a 24-challenge Championship mode divided into four different racing styles. The XBLA racing style has lends itself well to the offline/online four player setup, and Wrecked: Revenge Revisited will take full advantage of that. We’ll have to wait to see more info on Wrecked: Revenge Revisited but there is a website for the game being developed at the moment so more info will likely pull into poll position soon.